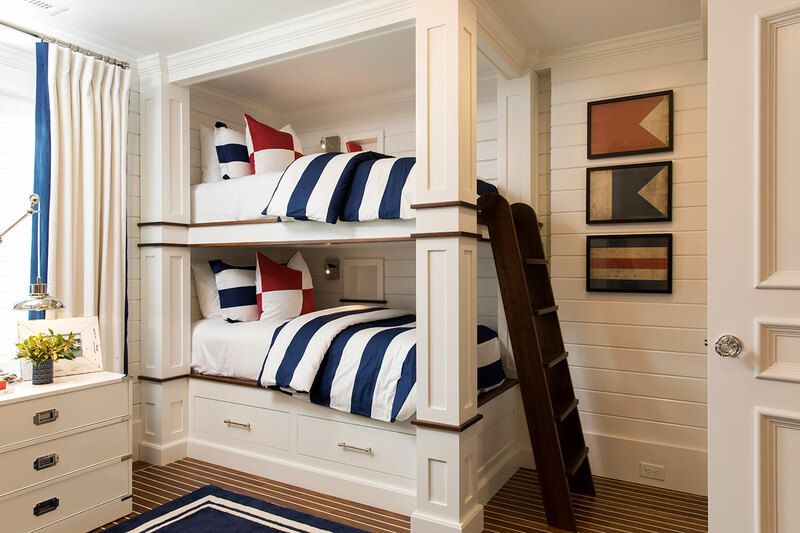 Designed as a space for guests (and future grandchildren! 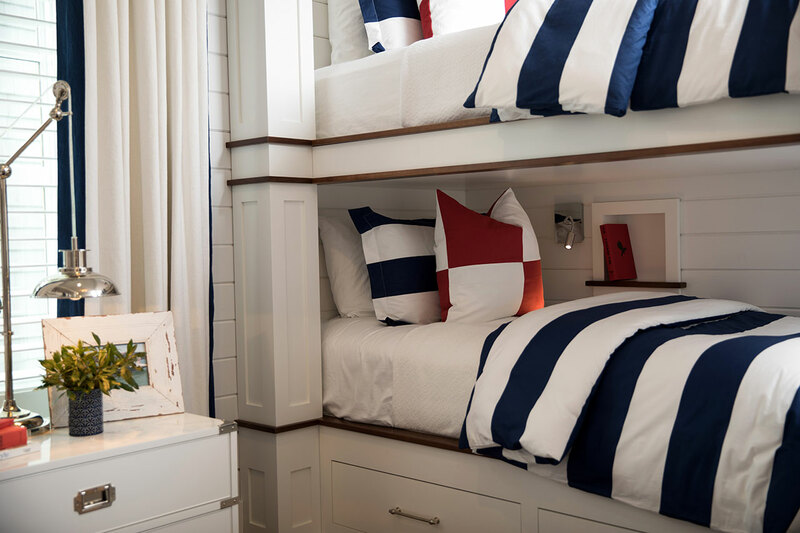 ), this bunk room is nautical in every way. 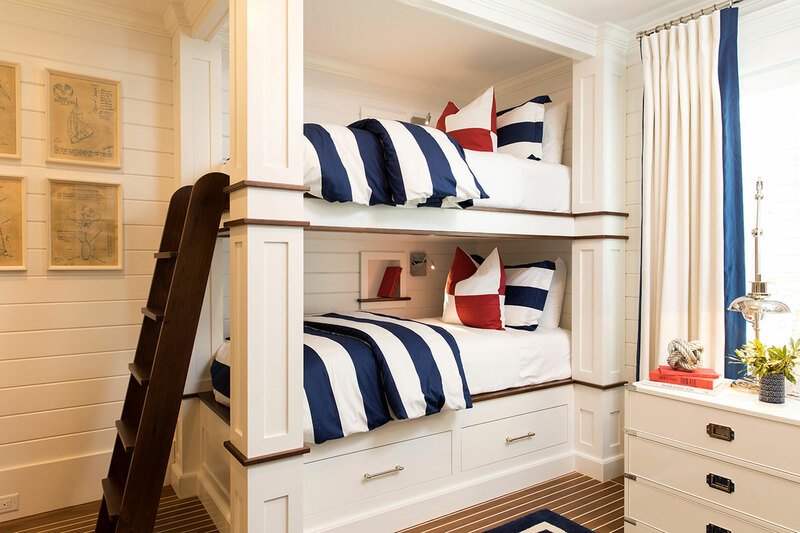 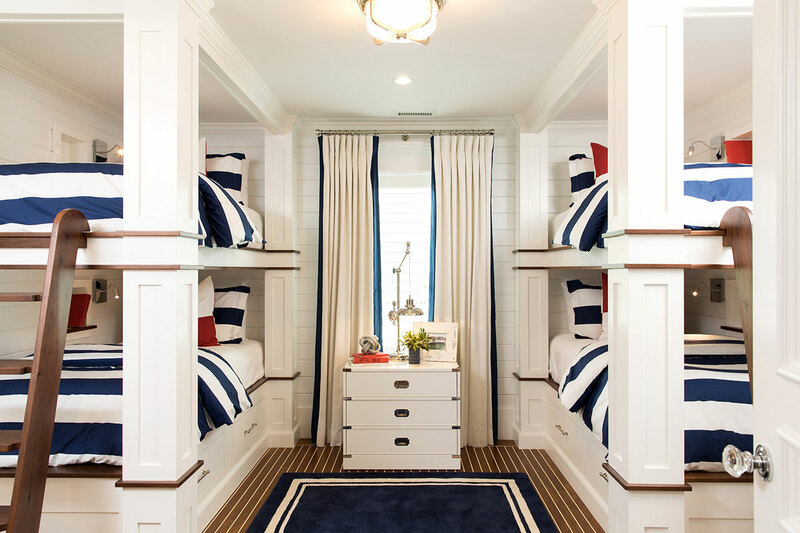 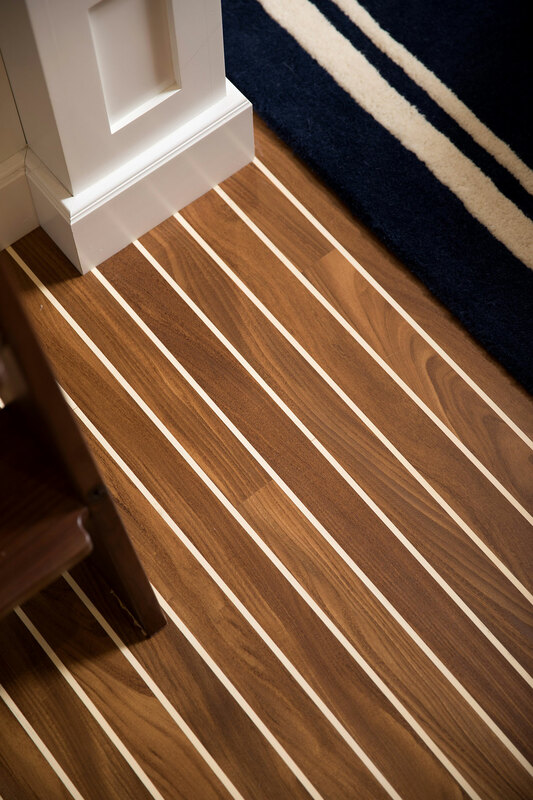 Shiplap walls, holly & teak floors (a detail inspired by the client’s own boat) and built in bunks complete with ship ladders exude the coastal lifestyle at its best. 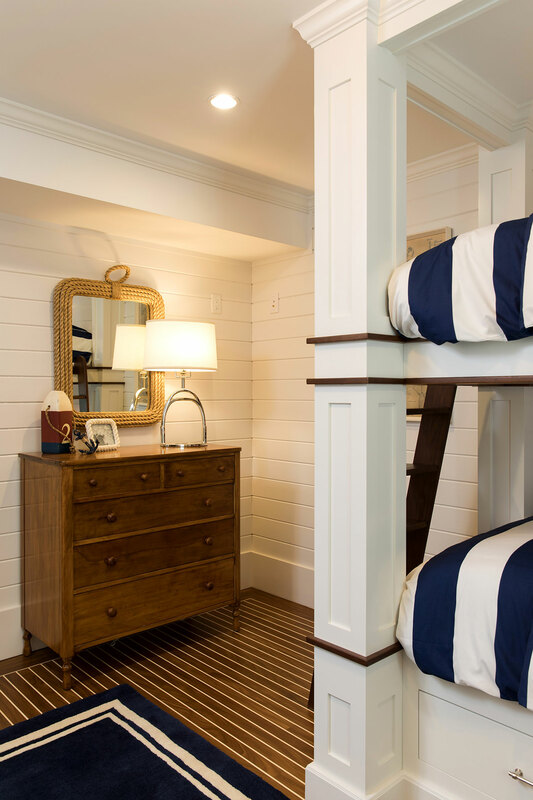 Built in reading niches grace every bed- giving guests a reading light, a spot to charge their phones, sit a bottle of water, and store a good book.